India’s Air One Aviation is seeking $2 billion of jets to take on Singapore Airlines Ltd’s venture in the South Asian nation, stoking competition in a market where carriers lost almost $10 billion in seven years. 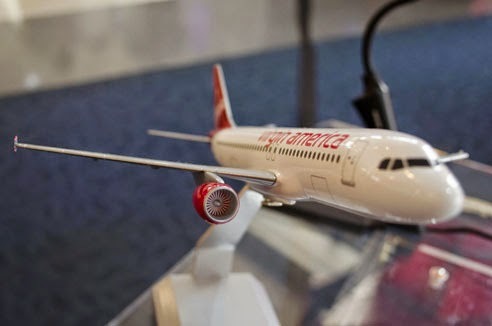 Air One, among six companies that last month got initial approval to start airlines in India, is looking at Airbus Group NV’s A320s and Boeing Co.’s 737s, its director Alok Sharma said in an interview on Wednesday. At list prices, 20 Boeing 737-900 ERs cost $1.98 billion, though airlines typically get discounts. Sharma, undeterred by one of the world’s costliest aviation markets, said he sees growing demand for air travel and reduced capacity as some airlines in India are struggling. Singapore Airlines, partnering with the Tata Group, plans to fly its full- service Indian venture Vistara this year, while AirAsia India Pvt. Ltd began operating a low-cost carrier in June. Sharma, who ran Sahara Airlines before it was sold to Jet Airways in 2007, said his experience in Indian aviation gives him an edge as he charts a path to profit. Air One currently offers charter services. Boeing India declined to comment on the potential order from Air One. An Airbus spokesman in New Delhi didn’t answer two calls to his mobile phone. A320s identified by Air One earlier were snapped up by Tata-SIA Airlines Ltd, Sharma said.